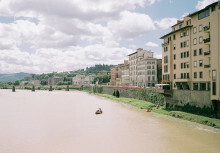 (EN) The role of Florence in the Renaissance is well documented, but many aren’t aware that the city on the banks of the Arno has another claim to fame: the birthplace of Italian fashion. In the 1950s, long before Milan’s catwalks got into gear, Florentines strutted their stuff at the country’s first runway shows. 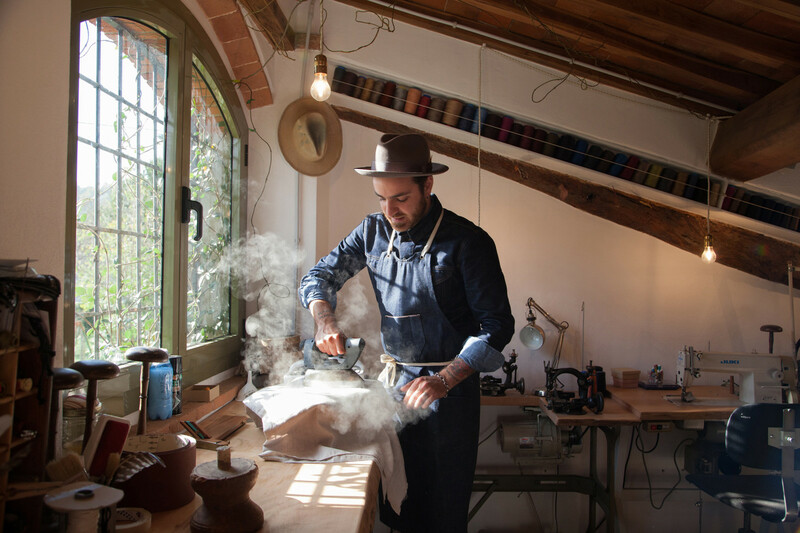 (EN) So it is only fitting that today the Tuscan capital is home to Super Duper hats, a promising young fashion brand that has staged a mini renaissance of its own by breathing new life into headgear. 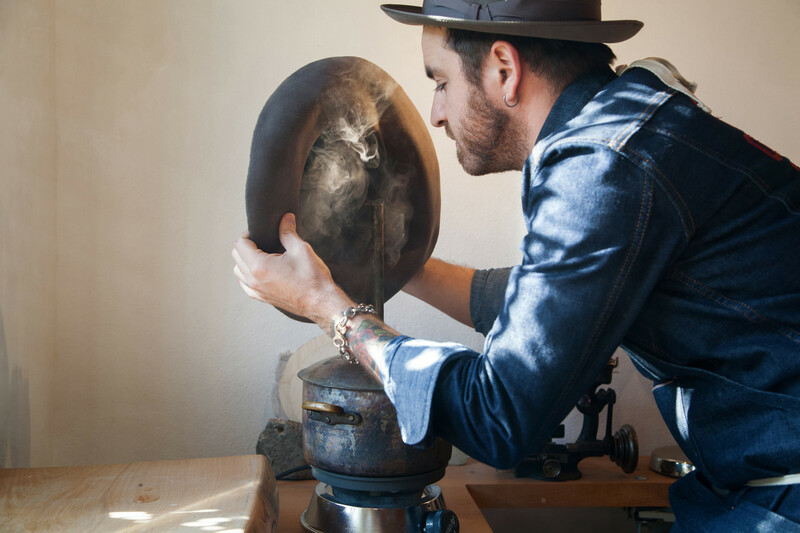 Founded in 2010, the creative force behind the label’s smart-looking collection of hats are sisters Ilaria and Veronica Cornacchini, who hail from Umbria, and the bearded Matteo Gioli, a native of Pisa who is regularly photographed with a hat elegantly slanted just so, in what appears an unconscious homage to his hometown’s famed landmark. 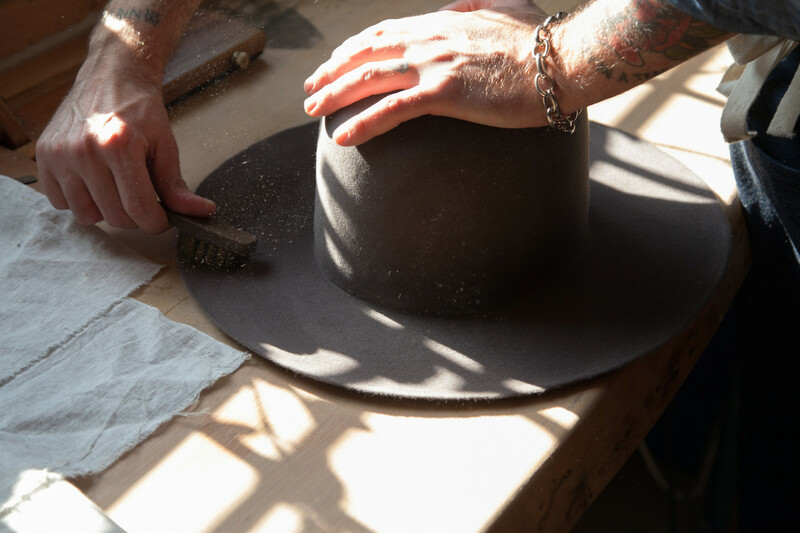 (EN) Long-time hat wearers, the trio at Super Duper turned their sartorial hobby into a full-time business after Gioli crossed paths with the Cornacchini siblings at a design workshop in Eindhoven in 2009. “The event was dedicated to wearable technology and innovation in fashion. We got to talking and in the end decided to fall back on what marks us as Italians: old-fashion craftsmanship done by hand,” explains Veronica, whose background is in industrial design like Matteo, while Ilaria studied architecture. (EN) After discovering they shared a mutual obsession for artisanal hats — they are never without something covering their head when out and about — the group returned to their adopted home of Florence fueled by the desire to explore the world of hatmaking, a trade whose roots in the Tuscan city go back centuries. 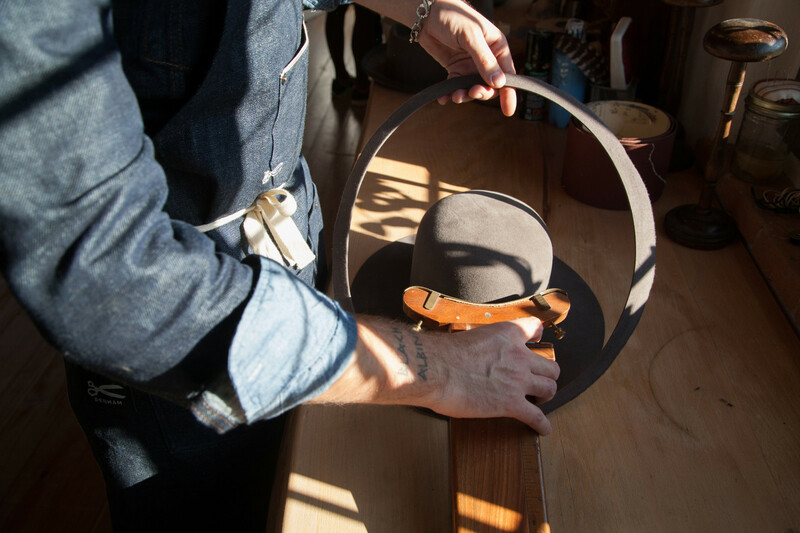 Soon they got their hands on a hard-to-find tome penned by a veteran Florentine milliner that detailed the step-by-step process of hatmaking. 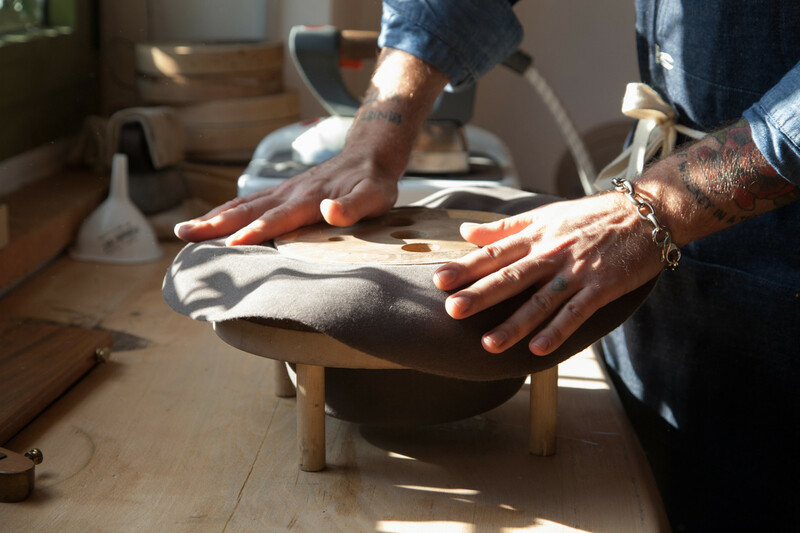 Now committed to the idea of joining Italy’s next generation of artisans, they tracked down the author in hopes of finding a mentor to teach them the craft. “She had no listed number but we found the street that she lived on and rang up neighbors in the phonebook until we got someone that knew her,” recalls Gioli. (EN) A one-time stable that used to keep draft horses is now Super Duper’s headquarters. It’s divided between a small attic equipped with vintage tools that include a 1920s sewing machine and a downstairs office littered with finished goods, many of which are bespoke orders for discerning clients such as a tri-tone canary yellow, red and blue fedora made for popular Italian singer Jovanotti. 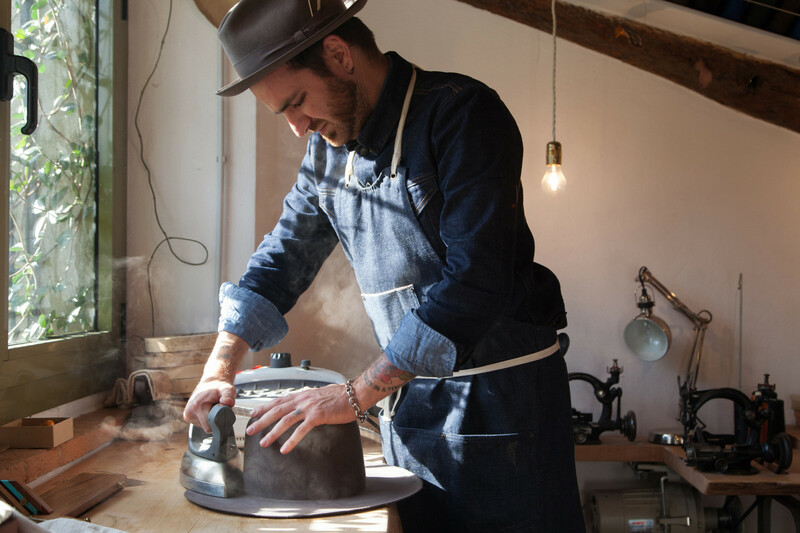 Donning a stylish dark denim apron, Gioli ventures upstairs where he is surrounded by classic wooden hat blocks that serve to create the final shape of a hat’s crown after much steaming and pressing by hand. For materials, Super Duper relies on everything from lapin fur felt to cotton to make a range of styles from newsboy caps to pork pie models. (EN) In a few short years, Super Duper has turned heads in fashion circles by stylishly reinterpreting everything from traditional boater styles to short brim homburgs. One of their best sellers, the Hobo is made from super light waxed paper straw for summer and lapin fur felt or beaver fur felt for winter. The model is ideal for travelers since it can be packed in a suitcase but then regains its form once taken out. Success has come quickly for the brand. In 2013, they won an award for emerging talent at leading menswear trade fair Pitti Uomo and recently were selected for an exhibit at Milan’s Triennale Design Museum dedicated to the new generation of fashion brands that have succeeded in renewing the country’s great artisanal crafts. (EN) Thank you, Ilaria, Veronica and Matteo, for sharing your time and your craft with us. 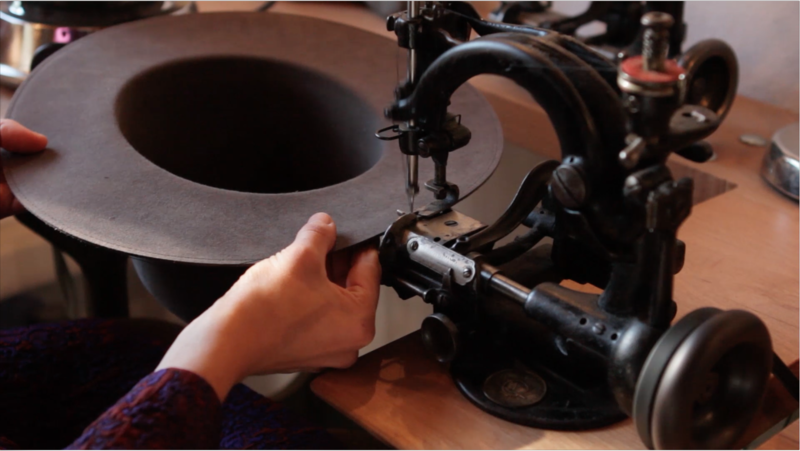 Find out more about Super Duper hats and their latest creations. This portrait is part of a collaborative series, produced by Freunde von Freunden and MINI. These features take a personal look at three Italian design talents behind the MINI Gentleman’s Collection — men’s accessories created for the launch of the MINI Clubman. We tell the inspiring stories behind the design, focusing on the craft used to create these special products.